A Li'l Tongue Tied ! Description: To say 'I Love You' to your sweetheart with a kiss and a smile ! 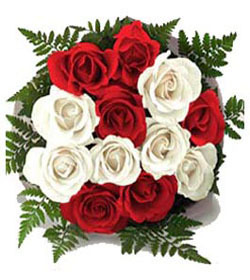 6 white and 6 red rose bouquet.